PMI offers various RF and Microwave products that range from 250 kHz up to 40.0 GHz which are supplied in a ruggedized, 1U to 6U chassis. Many options are available. If you do not see exactly what you need, please email your requirement to sales@pmi-rf.com so we can propose an instant solution. 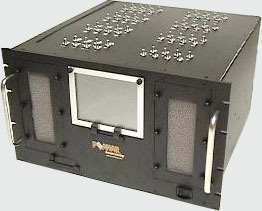 Our ruggedized, military grade chassis products are built to meet your exact application needs. Let PMI supply a custom tailored solution for you. Please contact us to discuss your exact needs and let us work with you to ensure total success.